Barely a week after this last event, I confront myself in SL with a very similar one. 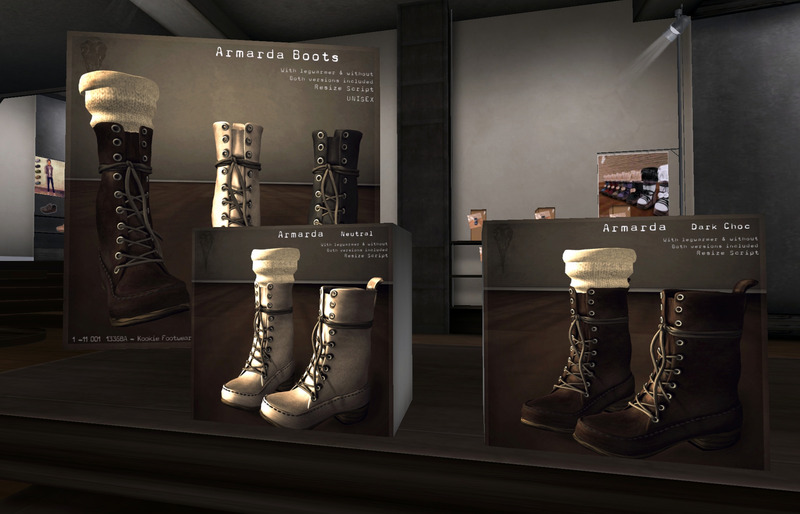 Kookie has just release the most amazing boots I have seen in-world so far (mmm… didn’t I already wrote this before in another post? hehehehe). Well, this time I am telling you guys the truth! (again… *winks). PS – Btw, just in case you haven’t visited the Cheesecake sim recently, well, that’s a must visit, I would say. They went through some remodelling latetly and a few mainstores gained some space for new items, hehehe. Totally worth to have a look!